"Our planet is unique…" BBC Films has unveiled the first official trailer for the documentary film Earth: One Amazing Day, the sequel to the stunning nature documentary Earth from 2007. Earth was a feature-length documentary version of the TV series "Planet Earth", and this one is also once again a feature-length version of the follow-up TV series "Planet Earth II" - which aired on BBC in 2016. This features a narration by Robert Redford, and presents a vivid look at one full day on our planet. "Told with humour, intimacy, emotion and a jaw-dropping sense of cinematic splendour, Earth: One Amazing Day is the enchanting big screen-family friendly adventure that spectacularly highlights how every day is filled with more unseen dramas and wonders than you can possibly imagine." This looks wonderful and awe-inspiring in many ways. Over the course of one single day, we track the sun from the highest mountains to the remotest islands, from exotic jungles to urban jungles. Astounding breakthroughs in filmmaking technology bring you up close and personal with a cast of unforgettable characters; a baby zebra desperate to cross a swollen river, a penguin who heroically undertakes a death-defying daily commute to feed his family, a family of sperm whales who like to snooze vertically and a sloth on the hunt for love. Earth: One Amazing Day is co-directed by filmmakers Richard Dale (The Human Body), Lixin Fan, and Peter Webber (The Girl with the Pearl Earring); with an original score by Alex Heffes. 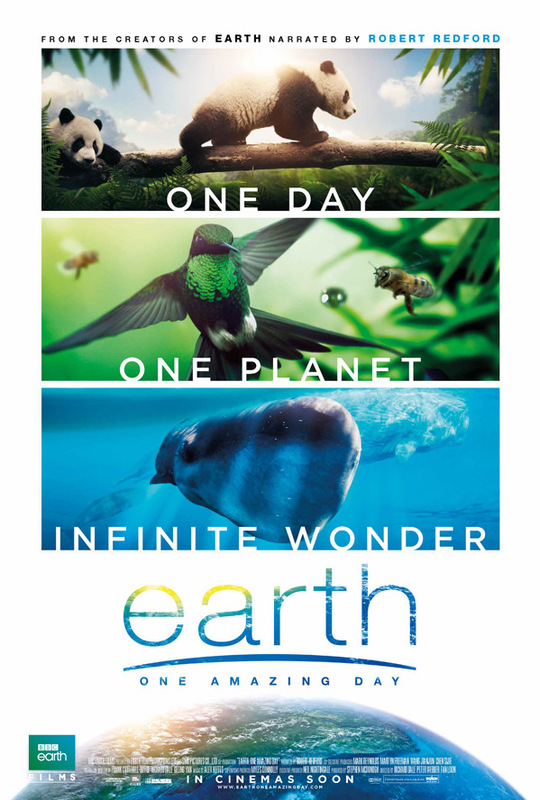 BBC Films will release Earth: One Amazing Day in theaters in the US + UK starting this fall. It's also set to open in China in August. Who wants to see this?